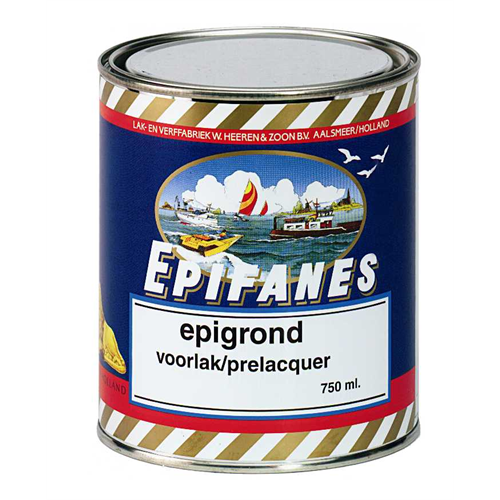 Epigrond Primer 750 ml. 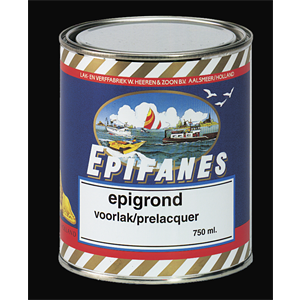 - Epifanes NA Inc.
A one-component primer and undercoat based on a urethane/alkyd resin. For use in a one-component paint system above the waterline. Provides maximum adhesion on previously painted, and well degreased and sanded one component paint systems. Suitable for interior and exterior use. 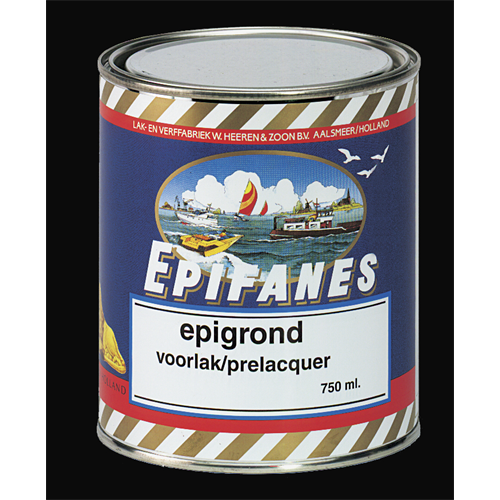 Recoatable with all Epifanes one-component products. 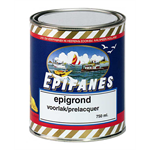 Fiberglass - wood - steel - aluminum: for use in a one-component paint system above the waterline in conjunction with the appropriate primer or directly on well degreased and sanded fi berglass. Suitable for interior and exterior use.